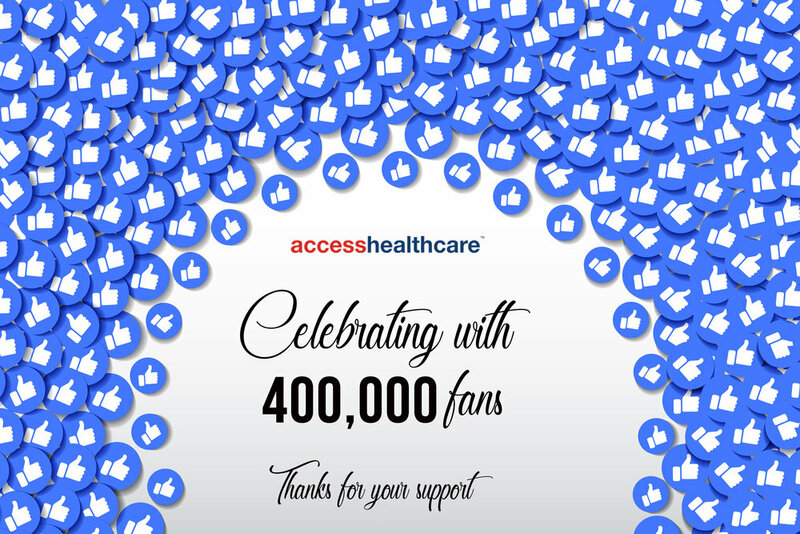 Today, Access Healthcare crossed the landmark of 400K fans on our Facebook page. We have enjoyed interacting with our followers and have constantly focused on resolving issues our employees and alumni face. Over the last 8 years, Access Healthcare has utilized the Facebook page for connecting with job seekers, employees and our extended families, business partners, and alumni. Thank you all for being part of our story and walking the journey along with us. While our primary focus has been to engage with our followers by posting about our workplace engagement activities, we have also utilized the platform for connect with job seekers through active campaigning. Our Refer and Win application on our Facebook opens up our employee referral program to our followers. Job seekers can look up open opportunities on Refer and Win and apply directly. Our followers can utilize Refer and Win application to refer their friends, family members and acquaintances to work for Access Healthcare, and earn generous bonus amounts for successful candidates. What’s more, they track the status through the recruitment cycle. Our Facebook page is an important medium to actively engage with us. Please follow us on www.facebook.com/accesshealthcareindia/ for more opportunities, news, and updates.